No Comments on Specification advice – do glass balustrades need a continuous handrail? 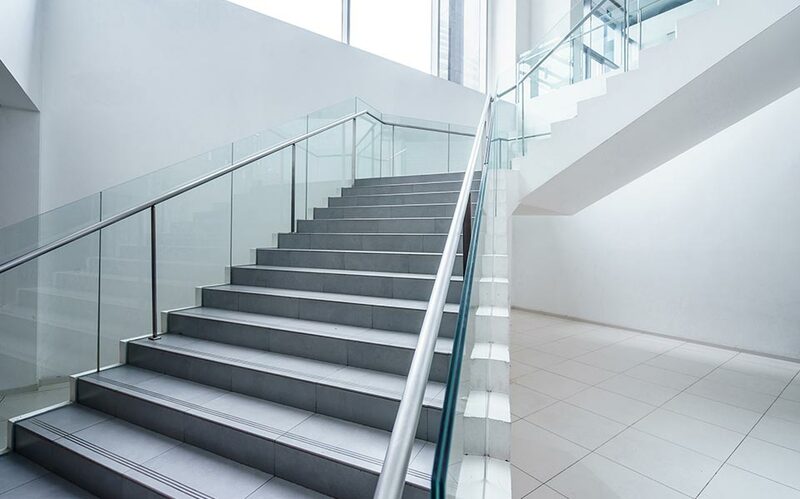 There is often confusion among homeowners and specification professionals as to whether there is a legal requirement for designing handrails into glass balustrades. Generally speaking, UK Building Regulations state that you don’t need a continuous handrail, even if the glass railing is completely frameless. However, we would always recommend that it is important to define the parameters and purpose of the glass balustrade installation. So what is the application e.g. balcony area? What is the glass type used in the installation? The quality of the fixtures and fittings also affects compliance. That basically means that if your glass specification remains in situ in the event of a glass panel failing, your installation does not need a continuous handrail. This statement falls under the strict criteria set out by Approved Document K for protection to people against impact, falling and collision with the glass balustrade structures. If the glazing installations are in critical locations, which generally they will be, toughened laminated glass has to be used. This is so if the glass panels did smash that they would pose little threat to people in the form of cutting and piercing injuries. What type of glass is required? What type of glass is needed for a glass railing with no handrail? Toughened laminated glass is required for glass balustrades, which possesses an extra strengthening interlayer between the glass panels. It is produced by interlaying a PVB plastic layer in between two panes of glass. This means the integrity of the glass panel remains intact should it break increasing the safety for nearby people and also acts as a safety barrier particularly when the balustrade installation is in a critical area e.g. raised balcony. Balustrade Components UK offers a range of high quality stainless steel handrails, available in three formats. Handrails for glass, handrails for masonry and vertical handrails. Produced in the highest quality 304 stainless steel and finished in a stain polished grade, they are available in half metre incremental lengths from 0.5m through to 4.5m, to ease the glass specification process. As the handrails are made from 304 stainless steel, they are intended for balustrade installations within internal areas. Balustrade Components UK are unique in that the company manufactures its own range of glass balustrade hardware. The range includes glass clamps, handrail brackets, standoff point fixings, glass brackets, washer buttons and fixing plates, fasteners and accessories. Each component is designed and manufactured in such a strict and precise way, that it will ensure any glass balustrade, railing or juliet balcony installation they are used will conform and exceed Approved Document K and BS 6180:2011 of the UK Building Regulations. 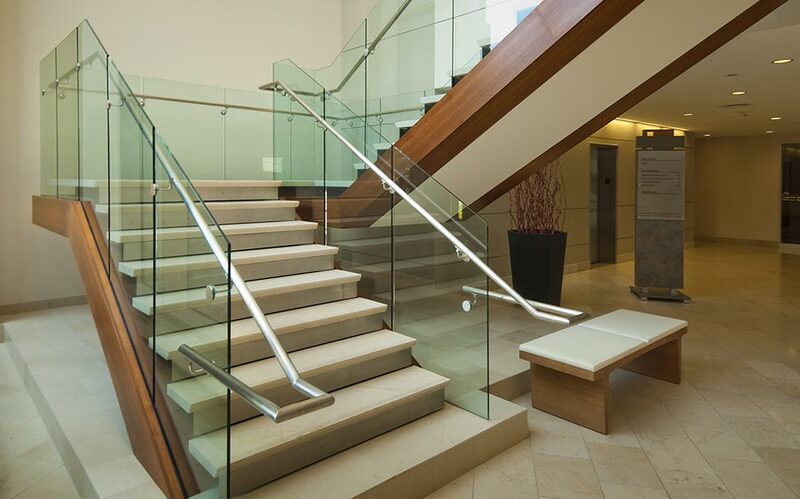 Paul Startin, Managing Director of Balustrade Components, comments, “Integrating handrails onto glass balustrade installations can be a complex matter. We work closely with Architects and Specifiers to ensure a clear and concise glass specification, that importantly complies with Building Regulations and matches client expectations. 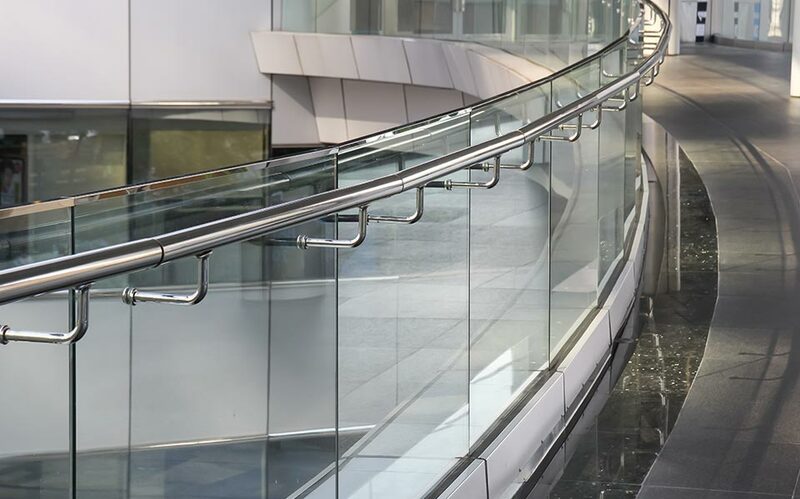 Balustrade Components produce an extensive range of structural glass fittings for beautiful glass balustrading – including glass clamps, handrail brackets, standoff point fixings, glass brackets, washer buttons and fixing plates, fasteners and accessories. Such balustrade fittings are available in two popular finishes – bright polished and satin polished. Balustrade Components is also able to offer bespoke finishes in powder coating, anodising and PVD. We have a wide range of stocked, short-lead time components in our factory which has helped many contractors, installers and housing developers who contact the company with urgent requirements for their project. For your convenience, if you know which glass fixing products you require for your project you can buy direct from our glass and glazing webshop Our extensive product range is available to buy and also features an extensive blog for the latest developments, trends and product news.